Ages 4 through 8. 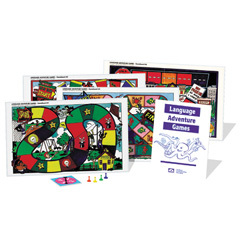 This kit includes four full-color game boards and game activities for auditory processing, vocabulary, and verbal reasoning skills. The kit includes four 11' x 17' full-color playing boards, playing pieces, a spinner, and a game activity manual.